Poha (rice flakes) is a versatile ingredient, agree? 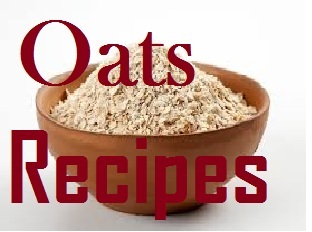 It can be put to innumerable uses, of course in your kitchen. Get your creative mind at work and start experimenting with these thinnest rice flakes and you can create marvels. Trust me! Also known as beaten flakes, flattened flakes, or dehusked rice, poha has a unique characteristic to swell when it comes in touch with water. So when it comes to making poha snacks, you ought to remember this. It is an easily digestible form of raw rice, which is widely popular across India and savored in different ways everywhere. The simple poha recipe would be to soak these flakes in water for a couple of minutes and then add them to warm flavored milk - do not be surprised if these taste like kheer or rice pudding. Then another form to enjoy poha is by dry roasting it along with almonds and puffed rice, and tempering them with carom seeds, curry leaves and turmeric. You will love this diet snack. In some parts of the country, poha is eaten raw and mixed with jaggery. You may dry roast poha and then give it a few churns with jaggery and dry fruits. Add 1 tbsp of ghee or clarified butter and roll the powder into ladoo. 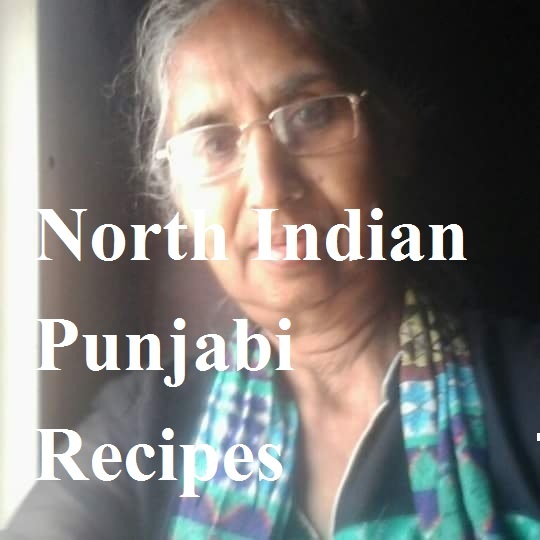 This poha recipe was shared by Neelam Avasthi in my food group, and she got great reviews on the same. Mix poha with curd and ripe banana and little sugar, and you will get a quick anytime snack with poha. This is known as chuda kadali chakata and savored in Odisha - my sasural (in-law's place). Kanda poha is another poha recipe popular in Maharashtra. Soak poha in buttermilk for 2 minutes. Squeeze and then keep aside. Now add mashed potato, hung curd, salt, haldi, dhaniya powder, curry leaves, roasted almond flakes. Mix well with hands until you can combine everything into small balls. Flatten the balls lightly with hands. 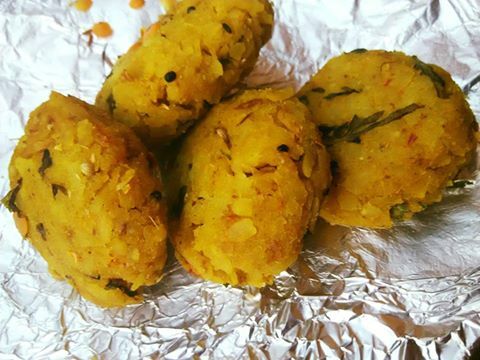 Grease each flattened poha ball with oil. Bake at 180 degrees for 10 mts. Savory poha snack is ready. You may even shallow fry it on tawa or skillet. 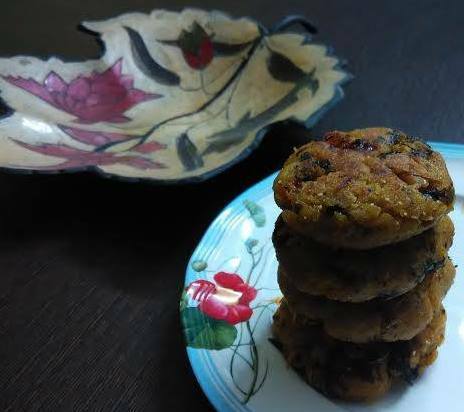 I wanted to bake it this time, so went ahead with baking, since I have already tried tawa poha cutlets. 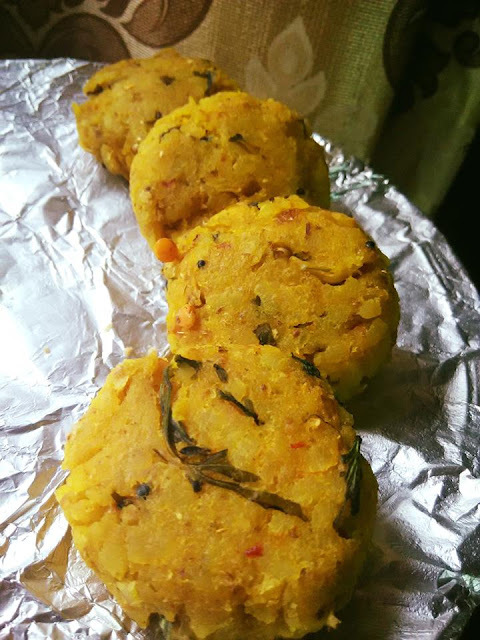 This is a simple poha cutlet recipe that you can relish as is or with any condiment of your choice. I usually enjoy snacks without chutneys. 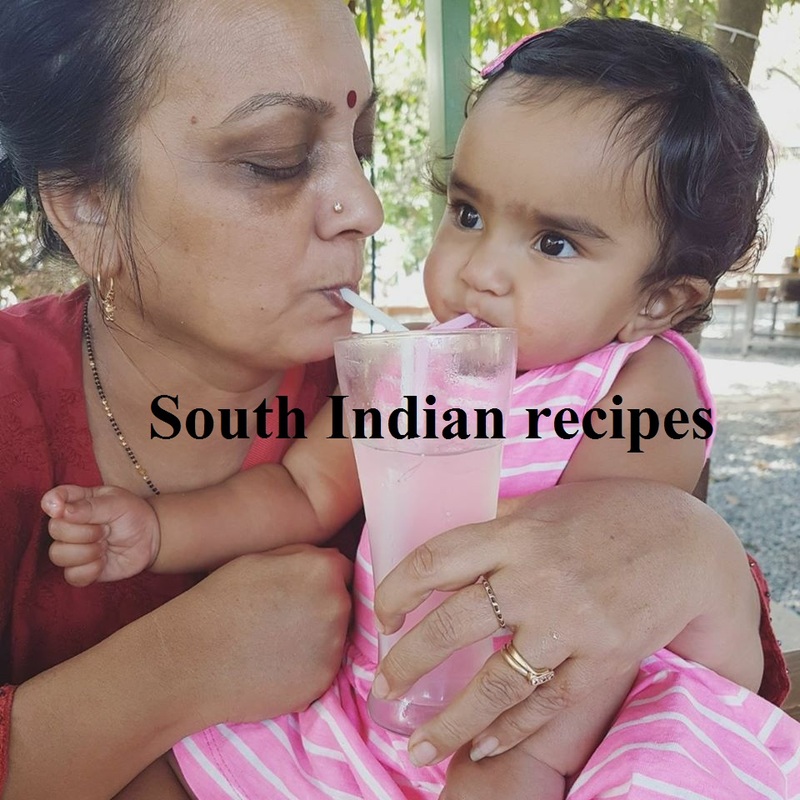 But you may want to try tomato-lauki chutney with this one. I am sure you will love every bit of this combo. Ever tried pan fried suji (semolina) cutlets? I am sure you will love them. 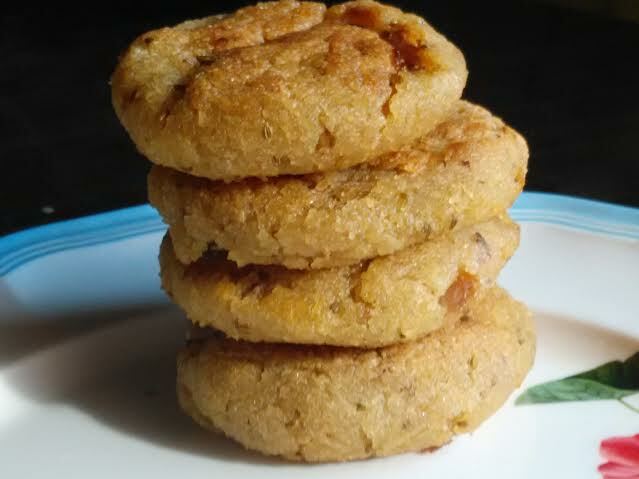 I often make poha cutlets for breakfast , your baked version sounds so healthy and flavorful Ravneet..wonderful share ! 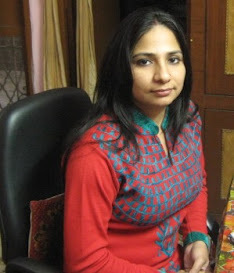 Thanks dear Poonam. 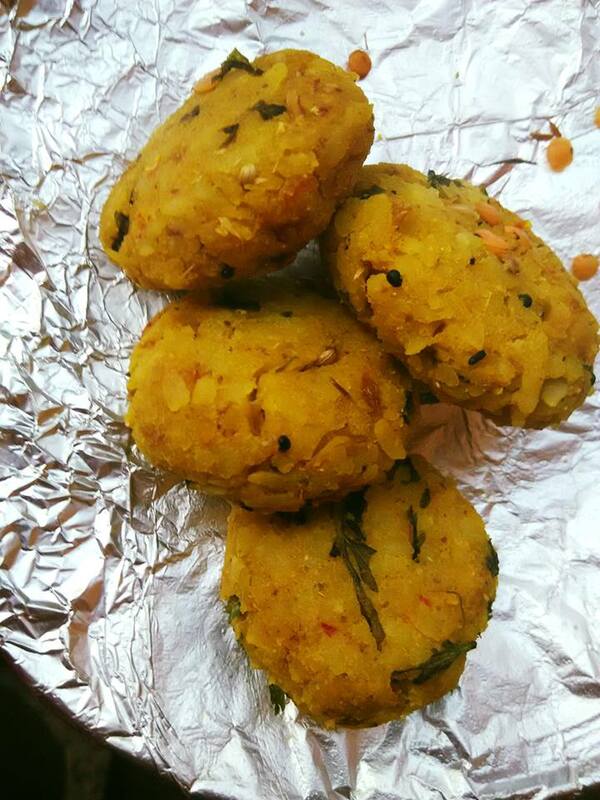 These baked poha cutlets are filling, healthy, and of course yummy.